It was the summer of 1961 and Bill and Ruth Sykes were vacationing in Hayward, Wisconsin with their family. At a loss of things to do on a rainy day and fish not biting, Bill decided to visit one of the local realtors and look at resorts for sale. As the day progressed, Bill and Ruth ended up looking at several resorts, Mogasheen being the last. Ruth recalls standing on the little dock at Mogasheen and looking out onto the bay and telling Bill, IF we were to buy a resort, this would be the only one I would consider. Ruth couldn’t believe her husband was really considering buying a resort in Northern Wisconsin when they had four kids from 3 – 8 years of age, a new home, a construction business in Illinois and no money for a down payment. Their vacation continued, so did the months following with the dream of Mogasheen in the back of Bill’s head. In September they scraped up a minimal down payment, returned for another look and gave the owners an offer. There was already another interested party, so there was another 2 month wait until the offer was finally accepted. Bill and Ruth signed the papers to purchase Mogasheen Lodge from George and Gladys Phillips in January of 1962. Thus begins the first year for the Sykes’ family adventures in the northwoods. When they took over Mogasheen, there were seven cottages and their home (Pine). From 1962 to 1973 they added four additional cottages, but ran the resort only during the summer months. The decision was then made to move to Wisconsin full-time in 1973. In that transition from summer business to year-round business, Bill added the new home/office/swimming pool area and the new tennis court area, plus moved three cabins. 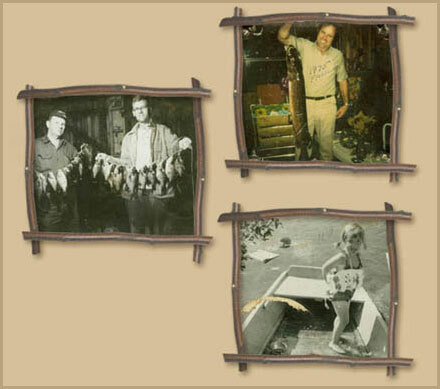 Bill and Ruth retired to the home next to the resort in 1994 while daughter Patsy and her husband Henry and three children took over the business. Henry and Patsy have continued the “Sykes” tradition with offering a quality family vacation to all their guests in comfortable cottages, beautiful grounds and great recreational amenities. In 2012 the Sykes family celebrated the family’s 50th anniversary at Mogasheen and hope for another 50 years! To help reach that goal, Henry and Patsy’s son John, wife Stephanie and daughter Ellie joined the Mogasheen staff in 2018. We take pride in maintaining our cottages and amenities for our guests. There is continual work being done in the cottages to still maintain their northwoods charm, but to offer the comforts and conveniences of home. 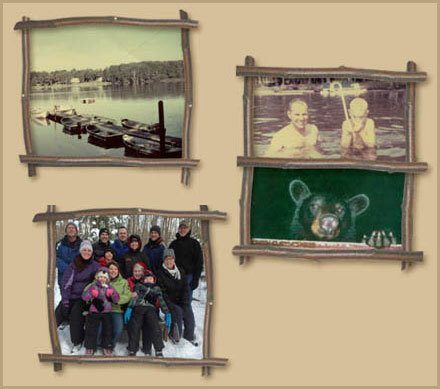 This is the history of Mogasheen Resort and how it all began, experience a wonderful family getaway and make your own history here at this Wisconsin Resort. 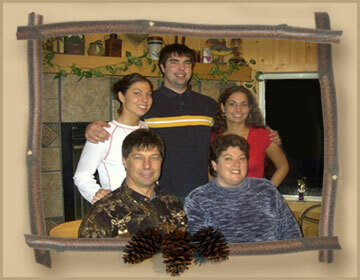 Mogasheen Resort is a traditional family vacation destination in wisconsin. © 2019 Mogasheen Resort - All Rights Reserved | Web Design by CCS, Inc.